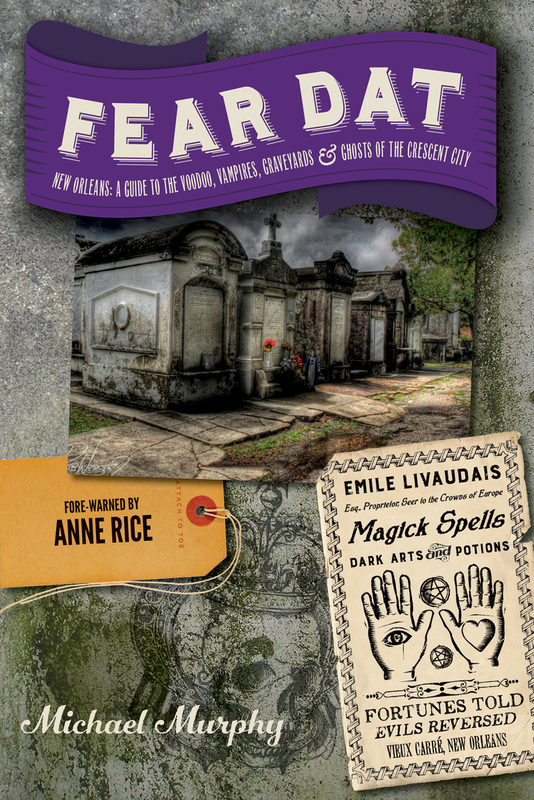 Fear Dat New Orleans explores the eccentric and often macabre dark corners of America’s most unique city. In addition to detailed histories of bizarre burials, ghastly murders, and the greatest concentration of haunted places in America, Fear Dat features a “bone watcher’s guide” with useful directions of who’s buried where, from Marie Laveau to Ruthie the Duck Girl. You’ll also find where to buy the most authentic gris-gris or to get the best psychic reading. The Huffington Post tagged Michael Murphy’s first book Eat Dat , about the city’s food culture, the #1 “essential” book to read before coming to New Orleans. New Orleans Living called it “both reverent and irreverent, he manages to bring a sense of humor to serious eating—and that’s what New Orleans is all about.” In Fear Dat , Murphy brings similar insights and irreverence to New Orleans voodoo, vampires, graveyards, and ghosts.